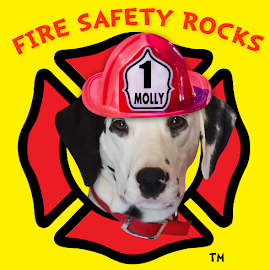 Fire Safety Rocks: Welcome, Tango! Spanner has announced her retirement and has asked Tango to take her place. 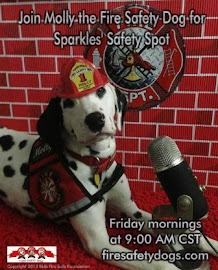 Tango was donated by Dalmino's Dals in Jenx, Oklahoma to help Firefighter Dayna teach fire safety. 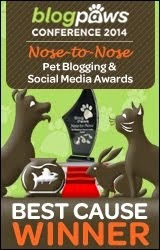 Thank you to Lori and Mac for allowing Tango to come to live with us in Arkansas. This statement comes from Dalmino's and shares Tango's background. 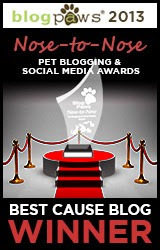 "Tango, whose registered title is Champion Dalmino’s Conquistador, was the first to finish his Championship in a litter of seven champions. Very few litters include so many champion get. Tango’s sire, Ch. Tuckaway Winged foot is one of the top sires of Champions with 82 sons and daughters earning titles. He is the most winning Dalmatian of all time with 427 wins. 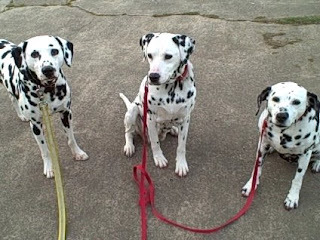 Tango’s mother was the top producing Dalmatian the year the puppies debuted. A natural showman he quickly included several Bests of Breed as well. Tango was always friendly and outgoing to all and soon became a Junior handler’s beginning dog. Tango and Andrea made it to the Top Five Dalmatian Junior handlers in their first year. 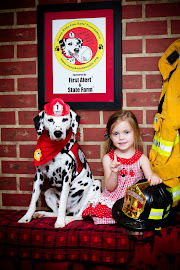 Tango has participated in parades, greeted the public at the fair for the firefighters and has always been an outstanding ambassador for the breed. Tango was bred only once and has a lovely son that achieved his Championship with three Major wins (only two are needed). Most of all, he is the champion of all our hearts and his winning Dalmatian “grin” is always met with delight. 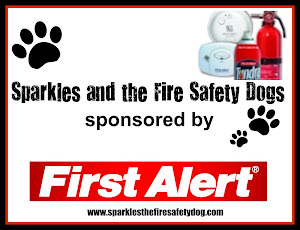 We are so happy to have him with Dayna and continuing to give to us all by teaching fire safety skills. Good boy “Mr. Handsome”! We all wish you well." Welcome Tango, we're glad you are here!